Just Romantic Suspense: What's In A Code? Congratulations to "Karen C", the winner in Daco's giveaway. Thank you to all who participated! A code is nothing more, nothing less than an encrypted message. It’s another way of arranging letters and sorting numbers that shortens or hides the meaning behind a message: written or spoken. Why a message is concocted is quite different matter. if you missed it. The show aired in the 60s and 70s and won loads of Emmys so it’s worth a venture down memory lane. 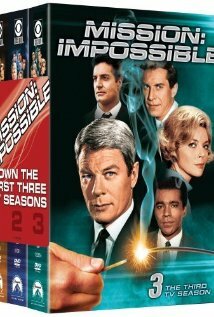 But truly, is it any wonder why spy thrillers, books, movies, and television shows alike have always been so popular? It all boils down to one iddy-biddy fascination. Secrets. Who doesn’t love a secret? It doesn’t take a lot of muscle upstairs to understand why we use codes, and especially why our government agencies encrypt their messages. It’s called National Security. We can’t tell the enemy what we’re doing and expect to beat them at the game, whether we’re in the middle of a war or sneaking around the outskirts of a cold war. Let’s face it; sometimes we don’t even want our allies and friends to know what’s up. And in my novel, THE LIBRA AFFAIR, we definitely don’t want anyone to know the reason why we’re sneaking around in Iran. Let’s go beyond the pragmatic and get back to spy lingo. When I envisioned the idea for writing THE LIBRA AFFAIR, a story where unwitting players are drawn into a political quagmire so that allies can be rearranged to create a more economically balanced world, the title not only matched the theme—balance—but also served as the code name for the heroine’s directive: Launch Libra, an ICBM buried in a remote desert of Iran. “I heard it was a good day to be a Libra,” he said. While that snippet was paired down from the actual book, wasn’t the scene fun? Didn’t you feel like you were right there with the secret in hand? If the guy hadn’t said it was a good day to be a Libra, Jordan might have been forced to take him out cold. Clearly, somebody was in the wrong place at the wrong time. Personally, I wouldn’t be surprised if a real agent walked up beside me in a crowded room and said, hey, we’ve use that one before. Codes are fun, fascinating, and intrigue us to keep turning pages. Still, we can’t think of codes without shades of Dan Brown’s Da Vinci Code trickling into our thoughts. Think about it, what is it that keeps the characters moving the plot forward in that story? Solving the puzzle of the cipher. Figuring out the secret. Because if they don’t, a large chunk of the world is going to spiral down into one giant cataclysmic ball of fire. But codes aren’t just the preoccupation of fantasy and espionage; codes can be as simple as two girlfriends or even couple sitting across the room from each other, giving the other one the look. No words needed to understand that. Or how about keeping up with the teenagers of today? Ever listen to how they turn of phrase? Or make a secret handshake? Try decoding some of that! What’s in a code is simple: a message. Understanding the message is another matter altogether. As a closing remark, here’s an inside on my own name: Daco. When my mother graciously allowed my father the opportunity to name his second child, he jumped at the chance. Little did she know the name he came up with, Daco, pronounced with a soft “a” and long “o”, which sounds French, turned out to be scientifically based in a physics formula: The derivative (D) of acceleration (A) at the speed of light in cm per second (C) is equal to zero (0), where C is the same in E=mc2. The long and short of it is there’s no change of acceleration at the speed of light, the speed of light is the fastest rate of speed we know of, now at least; so in essence, my father named me the speed of light. How’s that for a name with hidden meaning! What’s in a code for you? 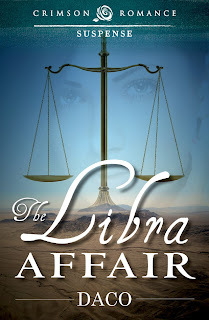 Daco will giving away a digital copy of THE LIBRA AFFAIR to one lucky commenter! Daco’s debut novel releasing in eBook on April 8th, 2013, print to come later, is a romantic suspense entitled, THE LIBRA AFFAIR. Nothing can stand in the way of Jordan Jakes launching a missile in a remote desert of Iran. Not even Ben Johnson, the NASA scientist she’s targeted. Against all odds, Ben follows Jordan, placing not only the mission at risk, but also the fate of the world. Everything hinges on the strength of their love. Available at Amazon, Barnes and Noble, and all major eBook retailers. Daco was born at the Bethesda Naval Hospital in Maryland and raised in Wernher von Braun’s Rocket City of Huntsville, Alabama. She holds a B.A. and M.A.S. from The University of Alabama in Huntsville and a J.D. from Samford’s Cumberland School of Law. When not practicing law or encouraging her children to become scientists, she spends her time writing novels. World War II has also fascinated me. One of the greatest thing is that the Japanese has never broken the Navajo Code. That is what impresses me the most. By the way, it took me awhile just to learn the meaning of my name. Hi Kai! Glad you joined the party at JUST ROMANTIC SUSPENSE! Great comment! In Urdu, it means "Universe." In Burmese it means "strong" and "unbreakable." In Dutch, it means "archer." In Hawaiian, it means "ocean" or "ocean water." In Swahili, "loveable" for a female baby. In Northern Ireland, it's a popular male name. I suspect your name has always been a subject of interest for those who meet you. Hope you enjoy The Libra Affair! What is the meaning of LIBRA? (in ancient Rome) A unit of weight, equal to 12 ounces (0.34 kg). The creative minds of those who develop codes fascinate me. Sadly, I've never been any good at them. Very very interesting... I do not know if I would be able to remember every bit of a code verbally... I would probably be one that would say the wrong thing, lol. Thanks for introducing your book! Hi Colleen! Thank you for your comment! I suspect more than a few of us would blub it up ;-) I'm sure I would have gone into theater if I could have remembered the lines; I'm more of an adliber myself. I love writing because the process is so free form, and I love the backspace button, it's so forgiving. Hope you enjoy THE LIBRA AFFAIR! Hi Karen! You might be surprised in the type of unique codes that you use without realizing it. I bet you have an expression that speaks wonders to those who know you. But you do make a good point, to really put together an uncrackable code, I suspect it takes someone who has both the gift of a creative and mathematical mind. Absolutely! The Da Vinci Code uses symbols, the cipher, the murdered body next to the Virtruvian Man painting with the pentacle drawn across the dead guy's chest and then the man's cryptic message scribbled beside his body. How about the quest for the Holy Grail, makes you think of Indiana Jones, and all his sagas. No doubt our fascination with secrets is universal. The way my family make up words or give words another meaning, I think I've grown up with codes all my life. Hi Mary! I agree, families definitely have their own dynamics at play. We're the same way at my household, both currently and when I lived at home with the parents and siblings way back in the day. We have strange words and strange sayings, but it's all good and fun.